it gives very detailed information and links on how to get the most from a a cycling holiday in and around Austria. It complements an earlier article on cycling holidays in Austria. On a note of recommendation for those less athletic cyclists I would recommend hiring bikes in Zell am See, catching the Tourist train from Zell am See heading up the valley towards (Krimml) waterfalls, the train does not go all the way, to the waterfalls, but the ride back will alll be down hill.! But do have a look around the highest waterfalls in Europe! and then a steady cycle down the valley back to Zell? There are a couple of really excellent swimming lakes on the way back, so if you get to hot why not stop? Across the arid grasslands of the Puszta, around gleaming lakes or through spectacular alpine mountain sceneries. 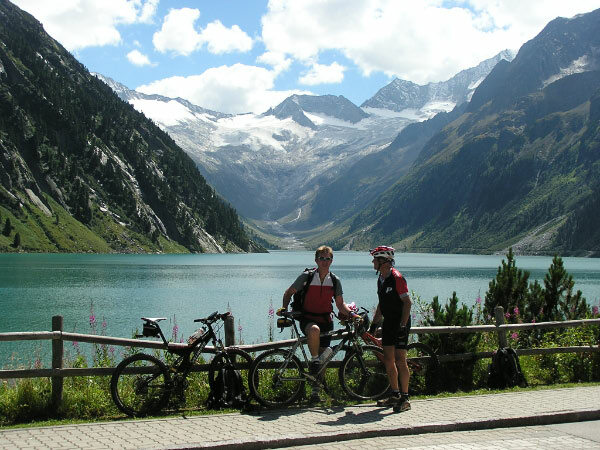 Austria offers an almost unlimited choice of cycle paths and tours for all ages and interests. Below you will find the pick of the crops from Austria’s provinces. Rides to remember up a mountain or down a valley your choice ! 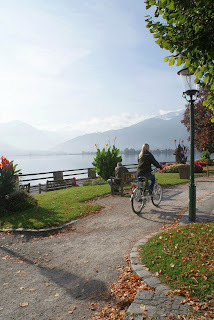 Cycling around the lake at Zell am See with time to stop for a hot chocolate. The scenic Tauern Cycleway leads from the Krimmler waterfalls along the Rivers Salzach and Saalach past, Kaprun and Zell am See, with numerous sights and attractions to the city of Salzburg and on to Passau to the start of the Danube Cycleway route heading down on to Budapest and beyond. Highlights along the way include Liechtenstein gorge, Hohenwerfen castle, if you have time remember to visit the Werfen ice caves, worth the detour and delay, also the Gastein valley is worth a diversion, with two fantastic thermal spas to ooze away any aches and pains. After all this the beautiful city of Salzburg beckons. The 270-kilometre long Tauern Loop, which leads from Salzburg via Lofer back to Zell am See, is also becoming more and more popular. 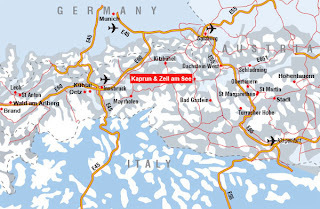 Tauern Spa Kaprun located close to Zell am See opens its doors in November 2010, so if you complete the loop, you will deserve the spa treatment and a pamper. The Mozart Cycleway – which starts in Salzburg – is 450 kilometers long and features several stations from the live of the genius composer. The route is marked with the head of Mozart and leads through the pristine Salzburg Lake District via Oberndorf into Bavaria where it continues along Lake Chiemsee. The cycleway then follows the River Inn upstream to Rosenheim before returning to Austria. The route then heads to Kufstein and continues via Lofer and Bad Reichenhall before reaching Salzburg. This cycleway through the pristine Salzkammergut leads past 13 incredibly beautiful lakes which offer welcome refreshment on hot summer days, with maybe time tor a dip and swim. SalzburgerLand – Paradise for Mountain Bikers! Cycling enthusiasts can explore the diverse landscape and scenery of Burgenland on 1,000 kilometers of asphalted and signposted cycleways between the Neusiedler See-Seewinkel national park and the Thermenwelt region. Map of the Central part of Austria - Tyrol, Salzburgerland and Carinthia to the South. The 366-kilometer long Drau Cycleway starts at the source of the River Drau in Toblacher Feld in Italy and follows the course of the river all the way through Osttirol and Carinthia to Maribor in Slovenia. The Drau Cycleway forms part of the R1 European cycleway and is one of Europe’s most beautiful routes thanks to its great scenic and cultural diversity. Depending on your level of fitness and interest in the cultural attractions along the way it takes about four to seven days to complete the entire route. In 6 days and across 3 mountain ranges from Salzburg via Carinthia and Friuli to the Adriatic Sea: this transnational tour offers splendid sceneries, cultural attractions and culinary highlights which reflect the special features of each region. Bike into the mountain – Carinthia opened its first abandoned mine to bikers! A ride into this 7-kilometer deep mine always makes for a memorable experience! Lower Austria boasts seven wonderful routes through landscapes of great natural beauty: Danube cycleway, Eurovelo 9, Kamp-Thaya-March, Traisental, Piestingtal, Triestingtal, Gölsental and Thermen route. All roads are well signposted and there are plenty of inns and taverns along the way as well as a steadily growing number of service stations and good train connections for cyclists. This is Europe’s most popular cycleway and not without good reason: it has magnificent scenery, fascinating places to visit and a wide cultural diversity. Parts of the route lead through Wachau and Donau Auen national park, both UNESCO world heritage sites. Along the way you will pass the castle ruins of Aggstein and Dürnstein, splendid monasteries like Melk, Göttweig and Klosterneuburg and impressive castles like Artstetten and Schallaburg and the baroque castles of Marchfeld. En route you will find a great selection of eating options including everything from exquisite award-winning restaurants to friendly inns and quaint taverns to suite every taste and pocketbook. The 111-kilometer long Traisental cycleway leads from the shores of the Danube to Mariazell, linking the lower with the upper Traisental. 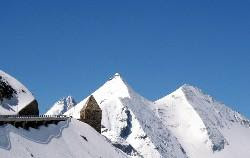 The route travels through lovely scenery and diverse landscapes: the Traisen marshlands near Traismauer, the vineyards and cellar lanes in Traisental, the baroque and modern city of St. Pölten, the pre-Alpine fields and meadows of Mostviertel, the majestic Ötscher Mountain and the lovely pilgrimage town of Mariazell. As the route follows old pilgrimage trails there are plenty of hotels, guest-houses and inns along the way. If you do the trip in reverse, i.e. cycle from Mariazell towards the Danube, you can enjoy easy downhill cruising with a 700-meter difference in altitude between start and finish. The route through the Upper Austrian Danube Valley is always slightly downhill with tailwinds making cycling here an easy and enjoyable experience for the whole family. Highlights include the famous Schlogen Danube Loop which offers wonderful views of the surrounding countryside and the old boater town of Grein. A pristine world of glittering lakes, majestic mountains and world-famous holiday resorts awaits cyclists in Salzkammergut. Upper Austria’s Inn Cycleway leads through unspoiled marshlands and a unique bird paradise. The River Inn is lined with splendid old towns which once were important trading towns. Grenzland Cycleway winds its way trough the mystical granite formations of Mühlviertel. Starting at the Danube this route leads through the gently rolling hills of the Bohemian Forest and invites you to explore a fascinating primeval landscape. This great cycleway takes you on a journey into the past! It connects the city of Passau, which is located at the confluence of three rivers, with pristine Lake Attersee and features old Roman attractions on the way. Once the valley of the River Enns was filled with the banging sound of iron hammers which had brought wealth and richness to the region. Today cyclists pedal push their way through the unspoiled mountain valley. 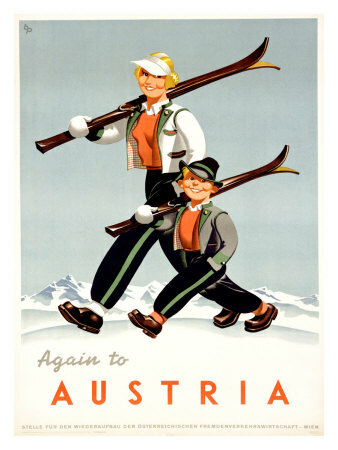 The route starts at the Limestone Alps and ends in Enns, Austria’s oldest city. The 365km long Mur Path Way is Styria’s longest cycle way and follows the River Mur from its source in the scenic Hohe Tauern Mountains all the way to Bad Radkersburg, Styria’s southernmost point. Enjoy scenic cycling through spectacular and diverse scenery from spring through fall. The 252km Enns Cycle Path starts at 1200m above sea level at the foot of the Niedere Tauern and leads via Altenmarkt and Radstadt to Schladming, a true paradise for cyclists amid the Dachstein-Tauern region. The picturesque ride takes you past the majestic Grimming Mountains, through the spectacular Gesäuse national park and the idyllic Reichraminger Hintergebirge to Enns. Along the route you will find plenty of interesting sights and attractions well worth a stopover. This route is only 63km long but due to its many steep hill climbs rather demanding. This ride focuses more on pleasurable side of cycling: the region not only boasts idyllic vineyards but also plenty of cozy taverns where you can sample wine and local food. 10 cycling and mountain biking routes in the Donnersbachwald region offer first-class cycling fun for all levels of ability. Ask your host for the Donnersbachwald Card comprising cycling and mountain biking routes as well as hiking and outing tips. The Dachstein-Tauern Region Cycling Map is available at the tourist office. Visit Styria for some first-rate cycling fun and discover the outstanding natural beauty of this province with all your senses. A great experience for body and soul, for your mind, palate, and thirst! Snow covered Grossclockner pass not for the faint hearted cyclist! The Inntal Cycle Path leads from Landeck to Passau and forms part of the “Bike Trails Tirol”. 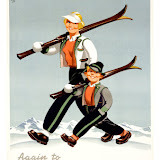 The route travels through the Tirolean Inntal valley and past such charming cities and towns as Innsbruck, Hall, Schwaz, Rattenberg and Kufstein. Although parts of the cycle path run through scenic mountainous landscapes, there are only few moderate climbs. The new cross-border “Via Bavarica Tyrolensis” cycle path is another step towards a united Europe. The Europe Cycle Path extends over 220km from Munich through the gentle Alpine foothills into the Isartal valley and along Lake Tegernsee into the heart of the Alps. Once in Austria, the cycle path travels through the picturesque Achental valley and past Achensee, Tirol’s largest lake, and continues on through the Inntal valley towards Wiesing. As there are only few and moderate climbs, the route is ideal for families with children and recreational cyclists. To make a great cycling day complete there is a great choice of cozy Tirolean inns, serviced mountain huts and snack stations catering to the hungry pedal pusher. Many of these eateries specialize in Tirolean specialties prepared with the best of local produce available. The cross-border Mozart Cycle Path takes you through Salzburg’s charmingly beautiful Lake District and the Bavarian Chiemgau region. A small part of the ride leads through the Tirolean Kaiserwinkl where the route follows the shores of pretty Lake Walchsee. The ride offers a great mix of beautiful landscapes, invigorating country air and cultural highlights. 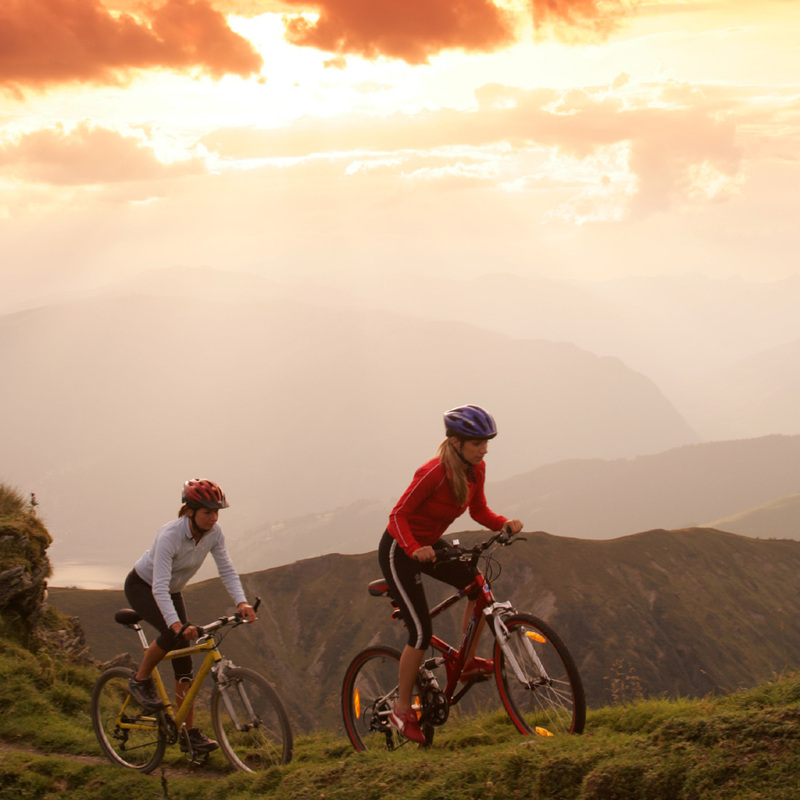 The Bike Trail Tirol offers superb mountain biking fun on 1000-kilometers of diverse and scenic trails. The trail leads in 32 stages through almost all of Tirol’s regions and takes in some of the country’s most beautiful sceneries. Cyclists can start at every stage town and choose the routes according to their fitness level. The trail uses a standardized trail sign system to make navigation as easy as possible. This popular cycleway is travels along the Austrian, German and Swiss shores of Lake Constance and is lined with numerous attractions (don’t forget to bring your passport!). Parts of the route can be done by boat, shortcuts are possible at Konstanz-Meersburg and Friedrichshafen-Romanshorn where you can take the ferry. Especially charming are trips with a boat from the “White Fleet” (= ferry Friedrichshafen (GER) -Romanshorn (CH) or Meersburg (GER) - Konstanz (GER). In addition there are regular trains operating along the shores of Lake Constance which offer bicycle transport. From Egg cycle along the former tracks of the old Bregenzerwald train to the Andelsbuch reservoir and continue along the L 200 to Sporenegg. Turn left into the cycle path to Bezau and follow the shores of the Bregenzer Ache to Reuthe and on via Holzbauwerk, Herburg (moderate climb) and Hinterreuthe to the wooden bridge to Mellau where you cross the L 200. In Mellau the cycle way leads trough the town, past the ski lifts and to Hirschau where you have to cross the L 200 once more. Continue to Schnepfau. Cross the bridge to get back to the left shores of the river where the most scenic part of the trail starts. The route now travels along the beautiful shores of the river all the way from Au to Schoppernau. The Montafon cycle path is no loop trail – this means if you wish to return to the starting point you will have to backtrack or take a train to/from Tschagguns. The cycle path takes you from Partenen to Gaschurn and along the River Ill past Gortipohl to St. Gallenkirch. Continue through the districts of Galgenul and Gartniel to Tschagguns. From Tschagguns the path follows the River Ill to Vandans and the Vens chapel where you take Böschisstraße road to Lorüns. 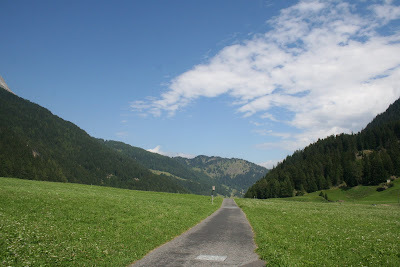 In the Bludenz motorway area, junction Montafon, you could pick up the cycle path to Walgau-Rheintal. At the Bikepark by the River Schwarzwasserbach you can practice jumps and tricks. Guided tours and classes are available. The bike map contains 9 tours which vary in length between 11 and 72 kilometers and climb between 200 and 2200 meters in altitude. 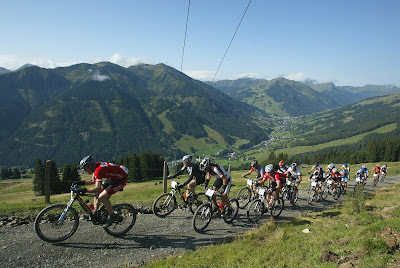 In Hirschegg-Au there is a bike park near the sports field which boasts an approx. 300-meter long 4X, two table, a seesaw and skinis. Looking for somewhere to stay, then please consider austria holiday apartment the apartment sleeps from 3-9 persons and Tauern Spa Kaprun just a few minutes away along the cycle route. I like all the images. Really such a beautiful place for cycle holidays.